Leadership does not just happen. In order to be a powerful, impactful, influential leader, you must be intentional, not only about showing up every day as a leader, but also, about being intentional around 8 key principals. 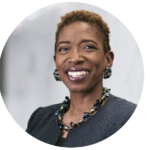 In this keynote, Carla Harris will discuss the 8 key principles of Intentional, Exceptional Leadership. Carla Harris is a Vice Chairman, Managing Director and Senior Client Advisor at Morgan Stanley. 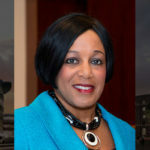 In her 30 year career, Ms. Harris has had extensive industry experiences in the technology, media, retail, telecommunications, transportation, industrial, and healthcare sectors. In August 2013, Carla Harris was appointed by President Barack Obama to chair the National Women’s Business Council. She is an accomplished leader, author and singer. Much has been written of late about the power of ‘grit’ — the act of simply working hard and making things happen — as being a key ingredient in the formula for success. Yet, grit without the complementary skill of ‘grace’ is not sufficient for the leaders of today — and this is particularly true for women. Great leaders (and great humans) must be driven, brave, and focused, yet they must balance those qualities with those of forgiveness, compassion, and empathy. In this session, you will learn how to better balance grit with grace and the importance of harnessing both qualities to increase your leadership effectiveness. Wendy Reynolds joined Heartland Financial in 2011 and has nearly 25 years of consumer and commercial banking experience. Since joining Heartland, Wendy has served in positions of increasing responsibility including: Summit Bank & Trust Branch President, Centennial Bank and Trust Senior Vice President & Senior Lending Officer, and Centennial Bank and Trust Executive Vice President & Commercial Banking Manager. In 2018, Wendy was named President and CEO of Morrill & Janes Bank and Trust. Kimberly Yates is a strategic executive, brand builder, and inspiration leader. Most recently, she has served as the VP of Marketing for Lee Jeans. Kim joined the VF Corporation and Lee Jeans in July 2015 with the intent of retelling the story of the 130-year-old authentic, American Lee brand. Prior to joining Lee, Kim grew her career via both sales and marketing at Procter & Gamble. From 2012-2015 Kim served as the VP of Marketing for the P&G luxury beauty business in New York City. Al-Husein Madhany loves people and their stories, and is a natural story teller. Al-Husein is a Peabody and Emmy-nominated, award-winning documentary film producer (secretlifeofmuslims.com), published author, and was previously a professor at Georgetown University in Washington, D.C. Al-Husein works as Senior Consultant and Coach at the Duncan Group, a global retained search firm. 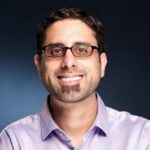 Prior to joining the Duncan Group, Al-Husein served as Chief of Staff to the PayPal Chief Human Resource Officer and Chief Chaos Tamer to the Facebook Chief Information Officer. 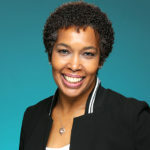 Dr. Andrea Hendricks As the senior executive director of Diversity, Inclusion Strategy, Dr. Andrea Hendricks leads Cerner’s global diversity and inclusion efforts in over 30 countries and the US. She is making an impact on Cerner’s culture by driving strategy and engagement initiatives that foster organizational learning and enhanced corporate diversity and inclusion vision. Prior to joining Cerner, She was the Assistant Vice President of Human Resources and Deputy Director of Diversity and Inclusion at the Federal Reserve Bank of Kansas City and Senior Vice President of Diversity and Inclusion at UMB Financial Corporation. 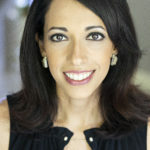 Maki Moussavi is a transformational coach, speaker and author who helps high achievers create lives driven by their desires rather than societal standards of success. Maki facilitates the discovery of the personal programming and patterns in which they operate in order to break through to a life where they unapologetically live according to their own expectations, not those of others. She specializes in providing a process around transformation to streamline the path to change. Maki has a Master of Science degree in genetic counseling and counseled patients before embarking on a 13-year corporate career prior to becoming a coach. 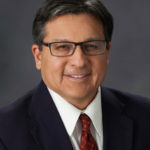 Michael A. Gonzales is a Diversity & Inclusion Consultant and Co-Founder Diversity & Inclusion Consortium and Former Director & Leader of Hallmark’s Corporate Diversity & Inclusion Department. Michael is the principal owner of NE&E consulting and travels the country as a consultant, executive coach, speaker, panelist and advisor on D&I topics impacting business and workforce imperatives. As the former corporate leader of Hallmark’s D&I department, he was responsible for Hallmark’s D&I’s strategies and objectives, their internal and external collaborations, partnerships and compliance. He is also the co-founder of the Diversity & Inclusion Consortium, a national organization of over 245 D&I practitioners and advocates, and a frequent lecturer on university campuses. 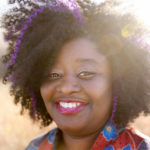 Kori Carew is a community builder, attorney, womanist and social justice advocate who generates awareness and understanding of critical human issues by creating the space and climate for open dialogue that is meaningful, enables people to expand their perspective and drive positive change. Her TEDx, “Just Belonging” focused on creating belonging and interrupting bias with grace and truth. Kori brings an incisive voice, unapologetic questioning of the status quo, and a lifelong fascination of human potential to empowering women and marginalized people and improving inclusion. Kori served as the Director of Strategic Diversity Initiatives of an AmLaw 100 law firm. Nancy Tengler is Chief Investment Strategist at Tengler Wealth Management. She is formerly the Chief Investment Officer for Heartland Financial USA, Inc. where she oversaw $1.5B in client assets as well as a team of investment professionals and the company’s financial planning initiative. Prior to joining Heartland, Tengler was President, CEO and Chief Investment Officer of Fremont Investment Advisors in San Francisco. Before Fremont, she was president and chief investment officer of Global Alliance Value Investors. Her latest book, “The Woman’s Guide to Successful Investing: Achieving Financial Security and Realizing Your Goals” was released in August 2014, by Palgrave MacMillan. She is a frequent guest on CNBC, Fox News and Good Morning Arizona. When work is a passion, the line between work and personal time can become blurred, making it easy to neglect other areas of your life. Women can “have it all”, but it’s a balancing act. 41 Action News Anchors, Rhiannon Ally and Dia Wall talk about their personal experience of navigating high-stress careers with family and “me time”. That balance is critical to being happy. In this session, you’ll learn methods for achieving better work-life balance. Rhiannon Ally is a mother, wife, daughter, news anchor, and author. 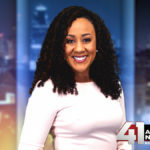 Rhiannon is currently an Emmy Award-winning evening news anchor at KSHB-TV, the NBC affiliate in Kansas City, Missouri. Prior to joining KSHB-TV, Rhiannon was co-anchor of “CBS4 This Morning” and “CBS4 News at Noon” at WFOR-TV in Miami, Florida. “Mommy, Please Don’t Go to Work!” is Rhiannon Ally’s debut children’s book. This is a plea she has heard hundreds of times from her children, Roman and Camila. She wanted to write a book addressing this topic and explain to kids that while mommy has to work, they are always #1. Dia Wall is an Emmy award-winning anchor and reporter for 41 Action News. Dia started her career working as a host for the Dallas Cowboys before becoming an anchor and reporter in Texas, then making the move to Kansas City in 2015. She’s passionate about telling stories that uplift and empower our communities. Dia is a proud wife to her husband Kevin and a devoted mom to their one-year-old daughter Alina. Dia is also expecting her second child later this year! 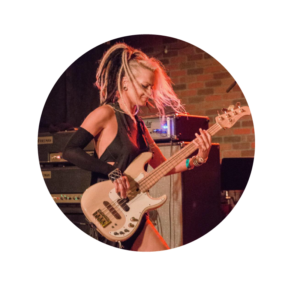 Tanya O Callaghan is an established freelance musician / bassist with an eclectic impressive career to date. 100% born and raised in Ireland where her musical journey began, she is now based in Los Angeles. Tanya has made her mark both on stages and in studios worldwide playing with artists such as Maynard James Keenan (Tool/APC), Dee Snider (Twisted Sister), Steven Adler (Guns N’ Roses), Nuno Bettencourt (Extreme), Westlife, The Corrs, Michael Angelo Batio, Orianthi and shows such as The Riverdance and The Voice. Wayne Strickland is a business coach, consultant, speaker, and enlightened leader who believe leaders fail because they fail to develop new skills as they grow as leaders. 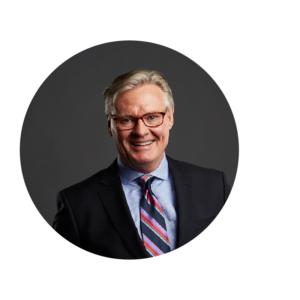 For almost forty years, Wayne’s consumer, retail customer and Consumer Packaged Goods (CPG) industry knowledge have allowed him to lead and sustain Hallmark as one of the world’s most powerful brands. He is an avid cyclist, guitar player and singer who hope’s to go on tour with a band when he grows up. He is proud to call Kansas City home. 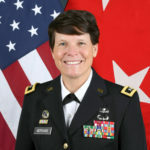 Deputy Commanding General, U.S. Army Cadet Command and Fort Knox, Kentucky. Significance is making every part of the world you touch better for having interacted with you. It’s about creating a lasting impact and a positive legacy. You don’t have to change the world – only the world around you. In this engaging presentation, master storyteller, Lauren Schieffer highlights keys to creating that lasting impact for yourself. Finding Significance is a humorous, eye-opening presentation that will lift you to a richer, more transcendent vantage from which you can discover a deeper, more rewarding definition of success. 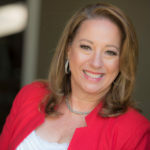 Lauren Schieffer, Certified Speaking Professional, is an international speaker and author. The daughter of an Air Force career officer, the lessons she learned from her dad have helped her make smart decisions and overcome adversity with humility and a sense of humor. With a varied career, she has navigated just about every aspect of corporate America – from trucking to achieving top-tier Sales Director status for a global cosmetics firm to managing a non-profit foundation. Today, she speaks around the to associations, organizations, federal, state and local governments, as well as Fortune 500 companies – helping them improve the effectiveness of their communication, increase productivity, increase employee engagement and reduce unnecessary conflict. Leadership is evolving as we know it. Traditional hierarchal leadership models are being replaced by more collaborative models. The most effective leaders are willing to shift from simply managing people to developing potential. They understand that great results are produced as they develop not only their leadership genius but the unique leadership potential of their teams. We will be examining 3 critical leadership functions needed to transform your team and achieve breakthrough results! Veronica Cochran’s life work has been spent helping countless people realize their leadership potential in a variety of settings including corporate offices, healthcare systems, schools, universities, and churches, and the administrative profession and its professionals are no exception. As the CEO of International Association of Administrative Professionals (IAAP), Veronica has a deep passion for elevating the perceived value of office and administrative professionals and looks forward to advancing the critical work surrounding this profession. As a leadership development expert and strategist, Veronica partners with both individuals and organizations to increase leadership capability and effectiveness. Learning to navigate the ship in a way that engages, inspires and empowers your team across generations is key to unlocking the doors of TRUE success. How do we motivate, stir curiosity, spark creativity and hold teams accountable? How do we create a culture that elevates employee retention and satisfaction rates? How do we lead millennials and position millennials to take the helm and drive the organization forward? Aaron Fulk started her marketing agency, Lillian James Creative, in her garage in 2016 after working more than a decade in agencies. She paired that experience with her expertise in the legal field to create a brand new business model then tapped her personal and professional network to grow the company and team out of her garage and through three different offices (so far). With more than 14,000 LinkedIn followers, she excels at understanding and strategically leveraging online channels to grow her network, her voice, her influence and her company. Courtney Thomas is President & CEO of Central Exchange. 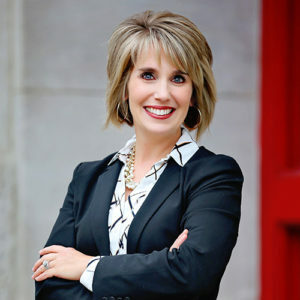 Following eight years of delivering an innovative vision and strategic focus to significantly expand Wayside Waif’s financial position and mission impact, Courtney led the merger of two Kansas nonprofits to form Great Plains SPCA, where she served as President & CEO for over six years. As the top executive, she set the vision and strategy for Operations, Marketing, Fundraising and Business Development, while leading agency Culture, Human Resources and Finance activities. 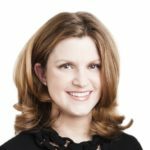 In February of 2017, Courtney took the helm at Central Exchange to enhance and execute a new strategic plan to advance the organization through 2020. In this highly stimulating, interactive event, Andi Burgis explores the correlation between the perceptions, beliefs and judgments we have and how much those perceptions impact results, relationship and success. Through unique experiential exercises Andi will demonstrate the extent to which our communication and relationship with failure and risk opens up or closes off possibilities. Participants see for themselves the relationship between what one thinks and the impact of that thought process on success, personally and professionally. Our perception is our reality but is it THE reality? Andi Burgis is Owner & Founder of Challenge U, LLC. Andi started designing and facilitating experiential learning programs in 1990. Using formats that included Low and High Challenge Courses, Equine Facilitated Learning, The Samurai Game® , Everything DISC® Assessments and the Five Behaviors of a Cohesive Team®; she has become known to her clients as a true leader of transformation and growth. Her programs are targeted for companies as well as individuals who want to improve their effectiveness in leadership, teamwork, communication and life balance. Andi’s strengths lay in her ability to effectively relate to people and to quickly establish trust. 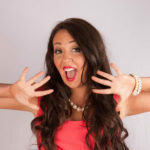 She excels at moving people from the learning to action in their daily lives. Andi’s current passion is in partnering with horses as teachers to develop the non verbal communication and emotional intelligence so critical for success. After 27 years in southern California, Andi along with her herd of horses, moved to Liberty, Missouri where she owns a beautiful 40 acre Equine facility. She is building the Equine business there and is continuing to travel to clients all over the USA to deliver other Challenge U formats. 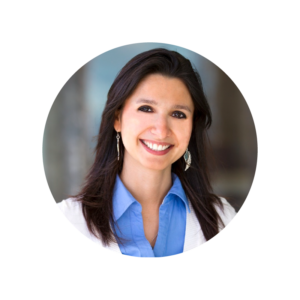 Diana Kander will show you how you create big audacious goals and accomplish them faster and with purpose. Most people reaching the peak of their potential, lose their curiosity and develop personal blindspots, hindering personal growth. Diana will demonstrate why the more success you experience, the bigger the threat of falling into one of the three expert traps: over-confidence, self-delusion, and fear of failure. Most importantly, Diana will show you why curiosity is your greatest asset to drive constant personal growth. Diana Kander is the New York Times Bestselling Author of All In Startup a novel outlining lessons for launching successful products through the story of a struggling entrepreneur competing in the World Series of Poker. Today, Diana is a keynote speaker and innovation coach for Fortune 1000 companies. She lives in Kansas City, Missouri with her high school sweetheart and husband, Jason, and their son True. If you have questions about Lyceum Sponsorship, please contact Kerry Gentry Hartnett at 913.333.3923 or kerry@centralexchange.org.